Overview of Implant Placement Middletown RI, Oral Surgery & Dental Implant Center, Inc.
Time is allowed for bone to heal and grow around the dental implant. 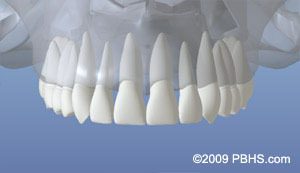 The bone bonds with the titanium, creating a strong foundation for artificial teeth. 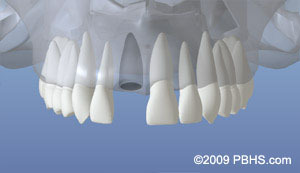 A support post (abutment) is then placed on the implant and a new replacement tooth (crown) is placed on top of the abutment. In some cases a temporary replacement tooth can be attached to the implant immediately after it is placed. If all of your teeth are missing, a variety of treatment options are available to support the replacement teeth. Now the healing begins. The length of time varies from person to person, depending upon the quality and quantity of bone. In some cases, implants may be restored immediately after they are placed. The surgeon will advise you on follow-up care and timing. Either at the time of placement or after the initial phase of healing, the surgeon places an abutment (support post) or a healing cap onto the implant. This allows gum tissue to mature and provides access to the implant. Often an implant may be placed immediately at the time of extraction of a tooth. This may involve a little more risk, but it simplifies the process—you won’t have to wait for another appointment to place the implant. When infection or other problems with the bone are present, immediate implant placement is not the best treatment.